Times are changing for the family garage. What once housed two or three cars, with each one purchased for a specific job, now is filled with maybe one car, a few bicycles, and a slew of boxes. 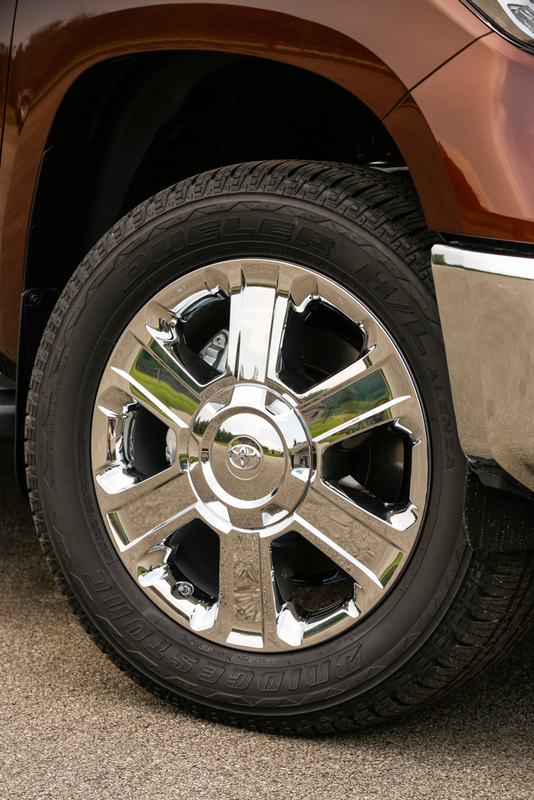 The common family rides have been purchased to haul as much as they can and not necessarily for luxury, convenience, or style. The big box SUVs have all blended into the same boring shapes, and the minivans have downgraded dads to a pile of sadness and play dates. 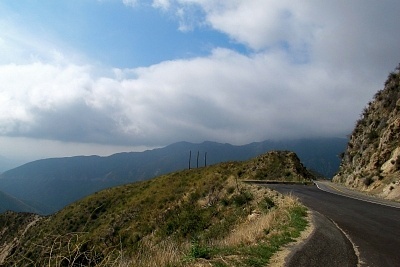 And as more and more of our lives surround being on the road more, travelling from practice to a recital to date night, all with little breaks between, the vehicle has become nothing more than a tool and no longer a form of expression. But it’s time for that to change, and change has started to happen in the form of the pickup. 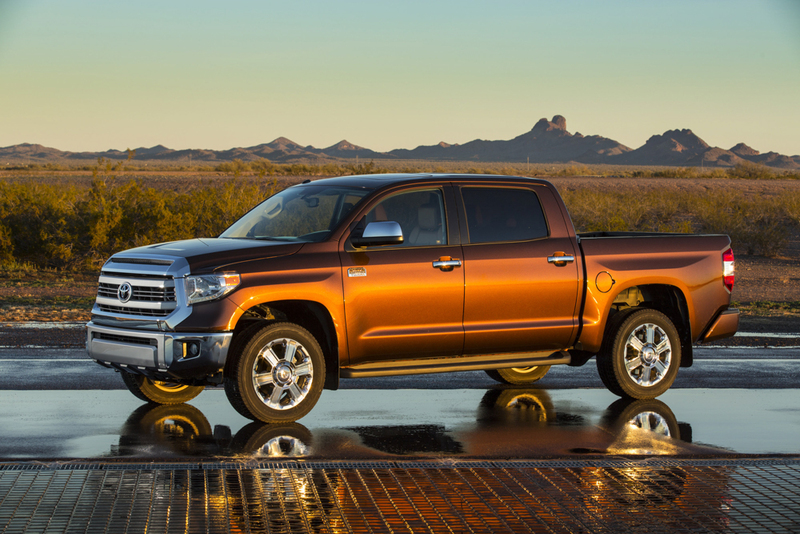 Yes, you read that right; the pickup truck is changing this sad outlook. 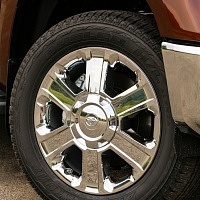 The domestic brands have been developing luxury lined trucks for the past few years, lined with leather and big wheels, chrome all over, and opulent power. Designed to make a statement and dent in the pocketbook, these trucks left the common man staring at the windshield of their minivan as they watched these beasts of the road roll away. 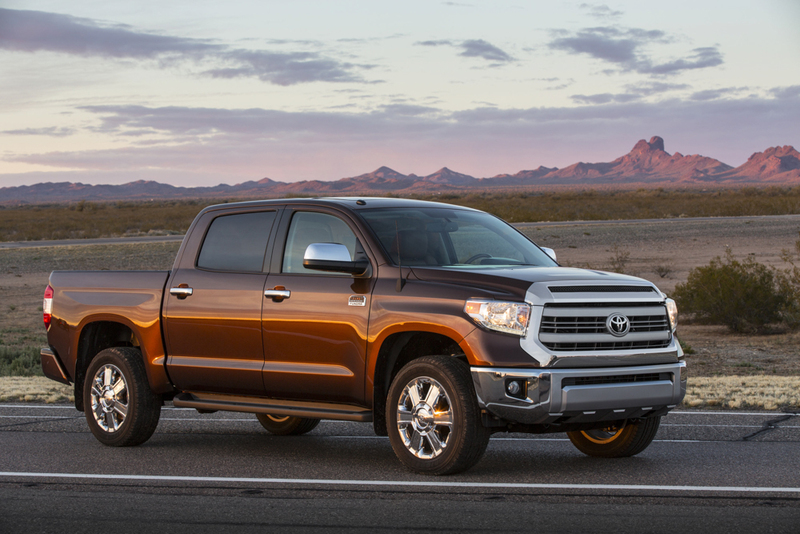 But now Toyota has jumped onto this change, and they have brought the 2014 Toyota Tundra 1794 Edition. And I had a week with it in place of my regular ride, and I learned that even my perception of the pickup truck needed to change. Let’s get this strait. This is no minivan replacement. This isn’t even an SUV replacement for that matter. Both are full encapsulated rides designed to keep everything on the inside with plenty of glass all around for honor role stickers and stick figure families. 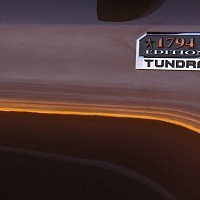 The Tundra definitely is not that (and shame on you if you put a hideous topper on a truck). Instead, it’s better. This is a man hauling, cargo carrying, camping trip leading, date night, family ride. Yes, I said it; this thing deserves to be in your garage. You can try all you want to pull up to the nicest restaurant in town in your little minivan with the stick figure stickers on the back window, but no matter what, it will not impress or turn heads in the way you want. 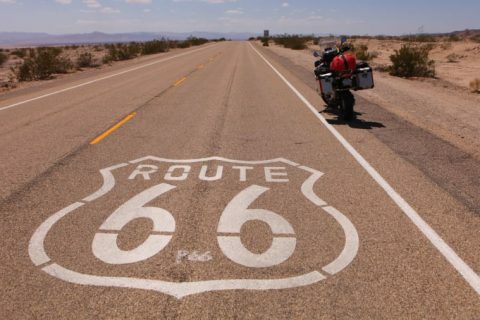 No, you want to make a presence, to let it be known your ride is the one that does everything. Pull up in front of a 4 Seasons with a dirty minivan, and the valets will scoff; pull up in a mud-caked Tundra, and they will all grin and be jealous. And really, do you need that 3rd row to be carrying around Junior’s friends? Not with the Tundra. Three grown men can fit in the back row comfortably with enough legroom to for a big dog to lay down in front of them, so this will ensure the back of your seat isn’t kicked by muddy cleats by the neighbor’s kid. 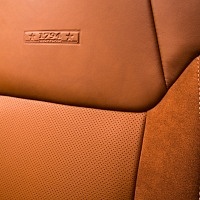 So what makes this ride different than any other truck, especially the other luxury lined brands that are out there? 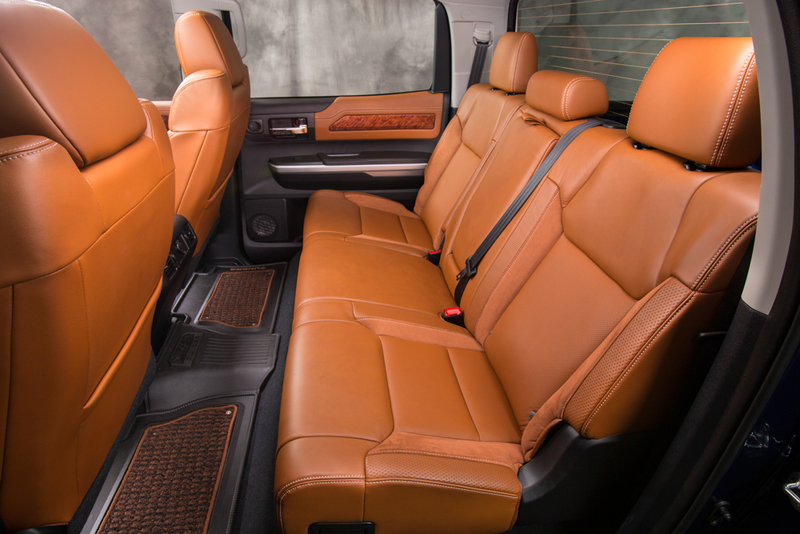 Heading into the cabin, the leather and suede seating stand out for sure, along with the updated dash and enhance MMI system. 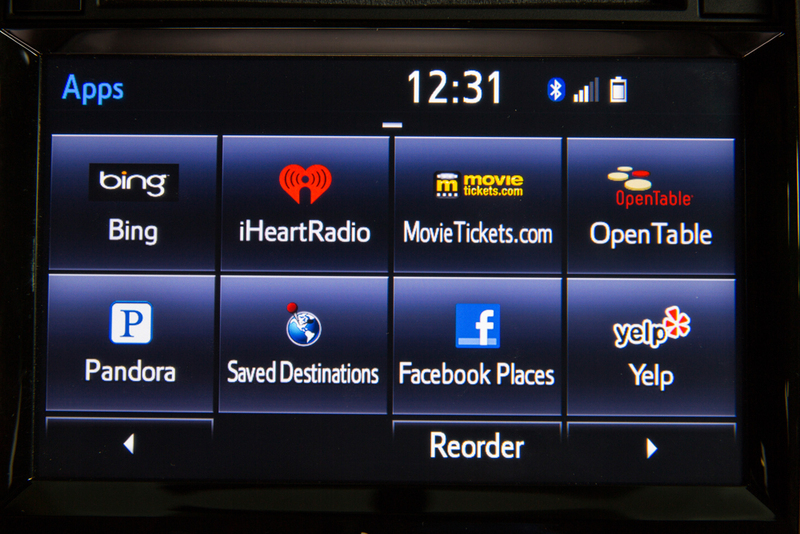 Not always being a fan of the Toyota MMI, I will say the improvements in the new Tundra have helped bring them to the modern era of head unit display. 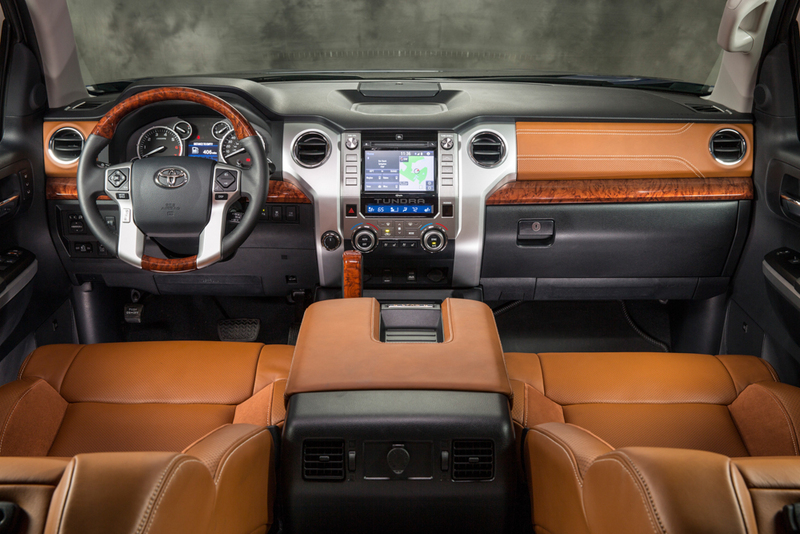 The Western-themed interior is definitely a nod to the King Ranch from Ford, but not overdone like its competitor. 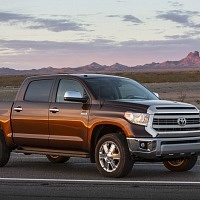 Boasting unique 20-inch alloy wheels, a huge moon-roof, dual zone AC, heated and cooled seats, enough chrome trim for a Vegas show, and a slew of other great parking and driving aids, the Tundra 1794 stands out from the rest of the Toyota trucks. And standing out is a big deal. 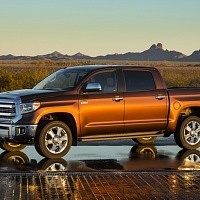 With Nissan and Toyota having entered the full size pickup market, the designs have been a bit blurred, and the trucks often get lost in the fog of the parking lot. The power is there as well with the 5.7L V-8 under the hood, pushing the ride forward to 60 in a quick manner. Will it be winning any races? Probably not, but that’s not why you buy this truck. It’s a smooth ride though, almost too comfortable to be a pickup, but still has the attitude to get whatever job done. 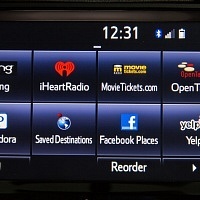 It eats fuel as most similarly appointed pickups do, but being a mindful driver will keep the MPGs in the higher teens. 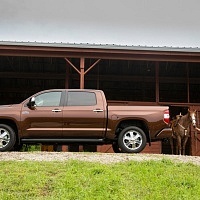 Often segregated to the local Home Depot, this is the first time I could say that this Tundra deserves to be shown off strait from the factory, be it while on the trails camping, hauling wood home for the newest home project, digging trenches in mud pits, or taking the lady out. It truly stands out and looks good doing it all. This is your new daily driver, family getter, road trip taking, sports gear hauling, muddy trail conquering, date night going pickup truck. 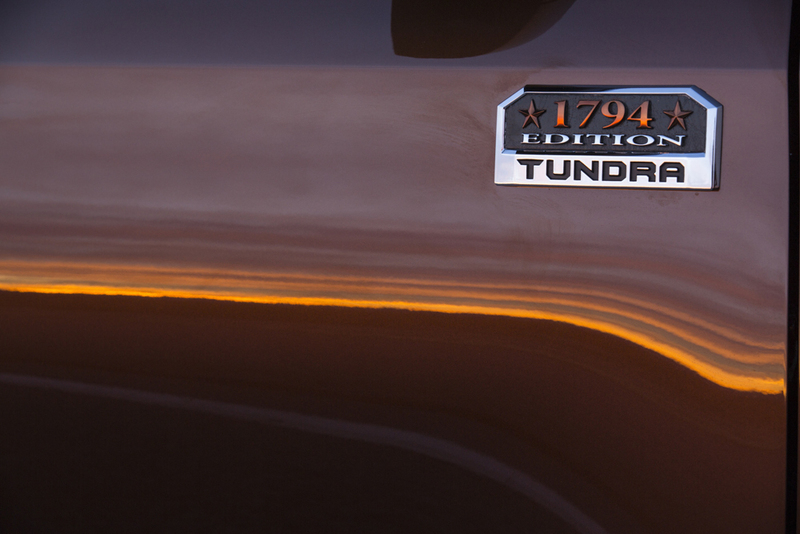 So why would you replace the minivan with the Tundra 1794 over any other luxury-lined pickup? That’s simple. 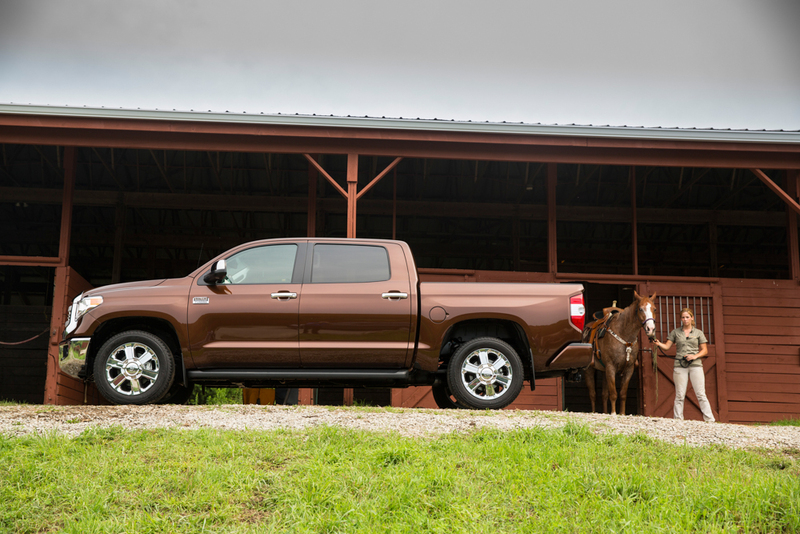 This is no Lexus of pickups, not a truck you fear getting dirty or hauling the kids around. 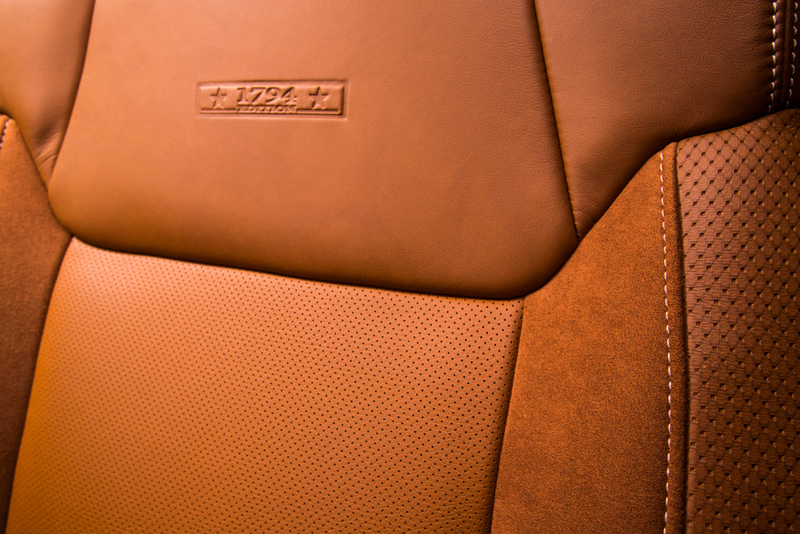 It’s comfortable, durable, and a straightforward truck. 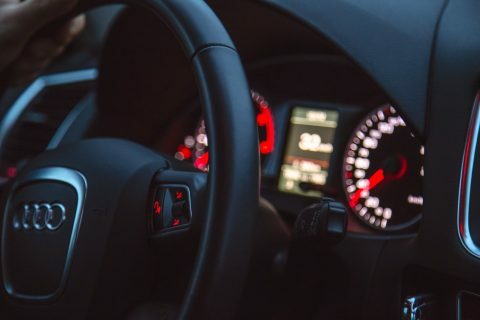 The luxury items are not overwhelming as we see in other brands, and it perform at the same level of capacity of all the big -box SUVs on the market while bringing the masculinity and functionality back to the driveway. 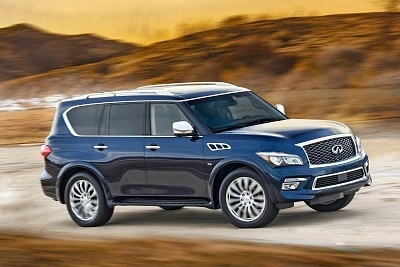 It’s a very well thought out balance of luxury, utility, and intelligence, and priced below the competition. 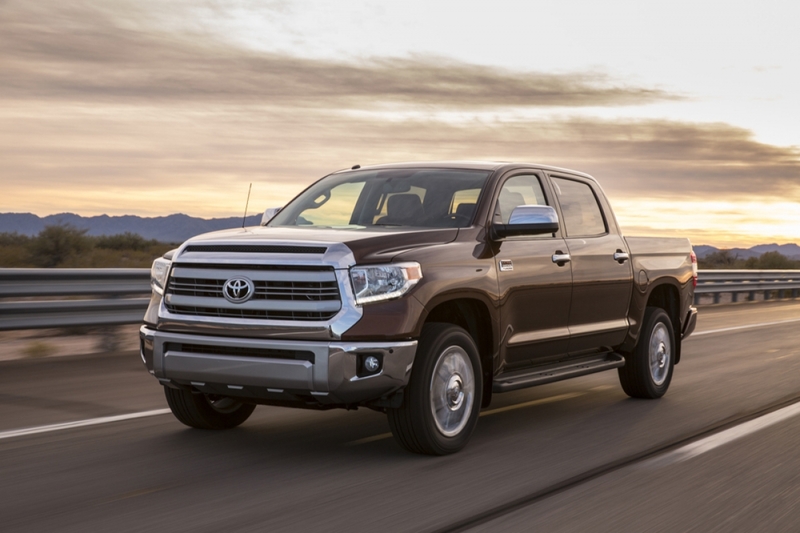 Yes, we as a society are not owning as many vehicles these days, but honestly, you won’t need more than the Toyota Tundra 1794.